You won’t care if it’s dairy-free and vegan, you’ll just care that it’s awesome. This is a perfect Valentine’s Day treat! This non-dairy milkshake is creamy and delicious! It's great anytime, even for Valentine's Day. It's a big hit with my friends! Place the berries and banana in a high-speed blender, and pour in the almond milk and vanilla extract. Start the blender at low speed, and work your way up until it's nice and creamy. 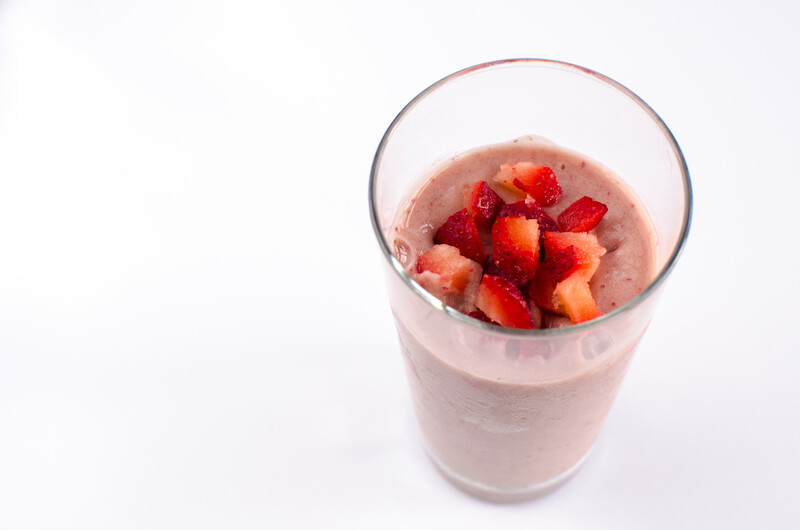 Chop several frozen strawberries to top the milkshake, and enjoy!